Join the UT Community for our 2019 Earth Month Celebration on Wednesday, April 17th, from 11 AM to 3 PM on the HSS Amphitheater Lawn. 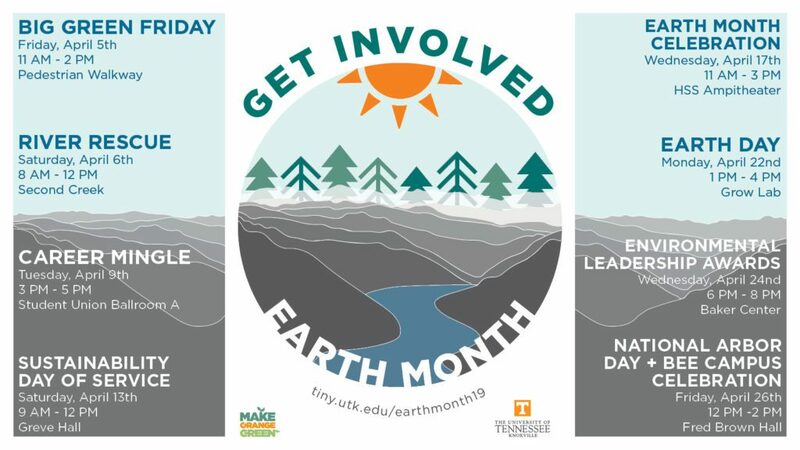 The Earth Month Celebration will feature dozens of environmentally focused organizations from UT and the greater Knoxville community, as well as vendors, artisans, and businesses who promote sustainable practices. There will be free food, sustainable items, music, and much more. Don’t miss out! Click Here to become an exhibitor here!